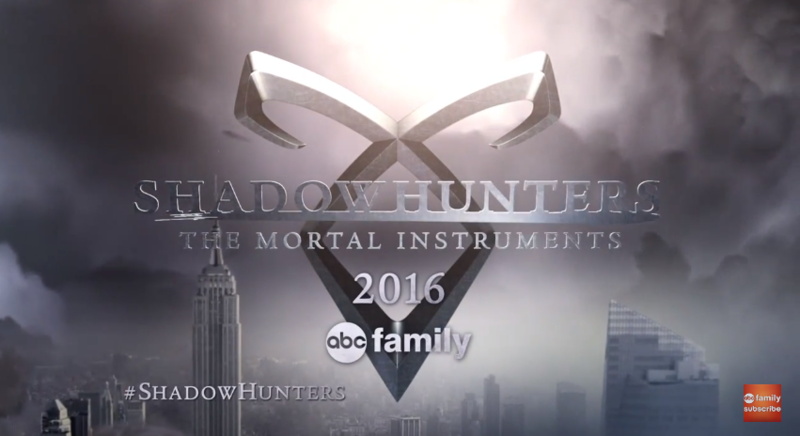 While Shadowhunters is still filming its pilot episode, ABC Family has already taken to promoting the show on its network. Two teasers for Shadowhunters debuted during the season premiere of Pretty Little Liars and series premiere of Stitchers. Here’s the first teaser, which features the title art for the series. The second teaser features a message from Katherine McNamara, as well as behind-the-scenes photos from the set. Thank you so much for showing them! So im guessing from the videos that Isabelle is the one who rescues Clary from her ruined house, not Jace, since you can see Clary, Simon, and someone with long black hair. Reblogged this on The Lost Herondale. We Aussies don’t see anything especially if we normal tv. So thx for putting on the web! True!! … I didn’t even know this series was happening until 2 weeks ago! TBH: The tv show isn’t going to be as good without the original cast. Yup. Her hair was described as carroty, while Jocelyn’s was an auburn. I was hoping they’d be actual clips from the pilot, but I guess that was a little to much to hope for this early..
Fuel to the fire of excitement that the fans feel while waiting for the release of the Shadowhunters TV show!